If real life were an animated movie, the Mangalica pig would be the wise, smartly-coiffed leader who throws really great parties. If you’ve not yet heard of the Mangalica, it is an adorable breed of domestic pig that looks like somebody attached a sheep’s coat to its body. The “sheep-pig” looks like an imaginary creature, but luckily for us it is very real. The Mangalica or Mangalitsa pig is actually a crossbreed from the 19th century, when people bred Hungarian and Serbian pigs together. No sheep necessary. 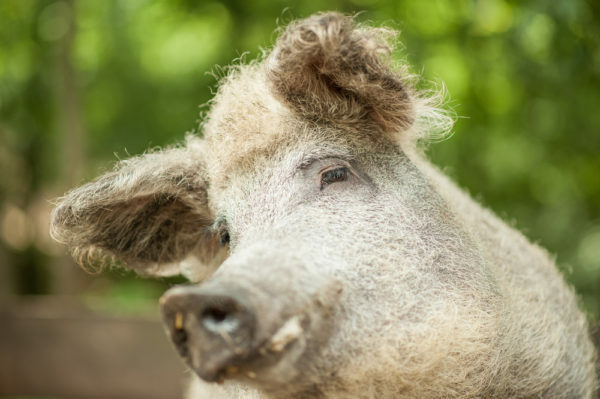 As a result of the crossbreed, the Mangalica has a coarse, protective fur coat. 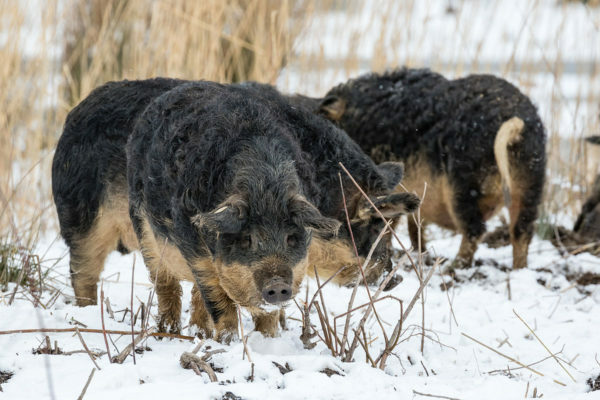 Also, they happen to be pretty independent; Mangalica pigs forage for their own food, like walnuts and chestnuts. Also, possibly grant wishes? We’re not positive, of course. We just think it’s likely. Look at the pose! That is an Insta ready pig. Just in case you think the pigs are only beloved for their looks/possible wish granting abilities, you should know they are also useful in environmental restoration efforts. In Dorset, U.K, they graze and dig through pine needles and bracken to make the Arne nature reserve more hospitable to endangered species. Honestly, that sounds like a folk hero fairtytale pig to us. Hey Disney, give these furry pigs an animated film.